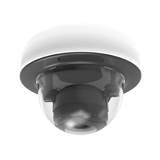 Cisco Meraki’s MV family of security cameras are exceptionally simple to deploy and configure. Their integration into the Meraki dashboard, ease of deployment, and use of cloud-augmented edge storage, eliminate the cost and complexity required by traditional security camera solutions. Like all Meraki products, MV cameras provide zero-touch deployment. Using just serial numbers, an administrator can add devices to the Meraki dashboard and begin configuration before the hardware even arrives on site. Cameras can be up and running within minutes of connecting to the network. In the Meraki dashboard, users can easily stream video and create a live video wall for monitoring key areas across multiple locations. 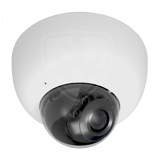 With an unobtrusive industrial design suitable for any setting—and available in indoor (MV21) and outdoor (MV71) models—the MV family simplifies and streamlines the unnecessarily complex world of security cameras. By eliminating servers and video recorders, MV frees administrators to spend less time on deployment and maintenance, and more time on meeting business needs. High-endurance solid state on-camera storage eliminates the concern of excessive upload bandwidth use and provides robust failover protection. As long as the camera has power it will continue to record, even without network connectivity. Historical video can be quickly searched and viewed using motion-based indexing, and advanced export tools allow evidence to be shared with security staff or law enforcement easily. 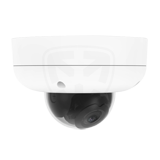 Because the cameras are connected to Meraki’s cloud infrastructure, security updates and new software are pushed to customers automatically. This system provides administrators with the peace of mind that the infrastructure is not only secure, but that it will continue to meet future needs. Simply put, the MV brings Meraki magic to the security camera world.